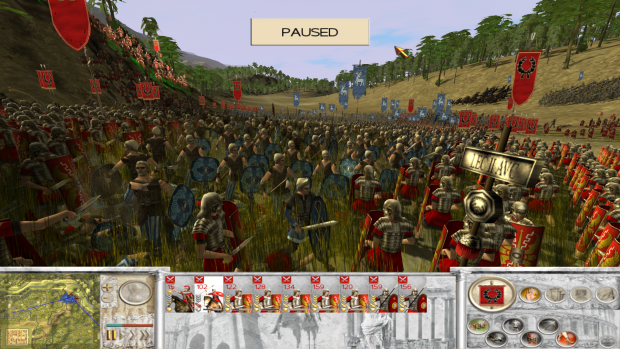 Rome - Total War: Alexander mod enchances vanilla experience with lots of new campaigns, historical battles and 450+ units. Rome - Total Music is strongly recommended! Unpack content of the archive to your Rome - Total War folder. A folder NL will appear inside your game folder, near EXE file. Right click Rome - Total War: Alexander, Properties->Set launch options and add the same. If you are using multiple Rome - Total War mods, you can add them all to Steam with different launch options. Just use button "Add a game" at the bottom of your game list, then "Add a non-Steam game", then found in the list and select Rome-Total War Alexander .EXE file from Steam version. This will allow you to launch the same Steam EXE with different mods, having full benefits of Steam overlay, game time count and screenshots.